This session will cover two subjects. "Seasonality in the Modern Age. Use it to Find Higher Probability Trades that are Trending". Seasonality has become a common word now. Some have had success and some have failed. In order to use seasonality, you need to take into account volatility, how much it trended, and money management. In this workshop, we will change how you look at seasonality completely. You will learn how to take advantage of a 58% probability and turn it into a high probability winner! o How to determine if an instrument is trending. o How to calculate reward/risk for seasonality. o How to use pattern recognition to take a 50% probability and win with it. Combine multiple time-frame analysis with your favorite charting tools, from Fibonacci to Bollinger Bands for additional insight into any market. See the new iMTF® Indicator in action! Speaker Bio: Manesh Patel, CMT, CFT is a veteran quantitative trader and is the President and Co Founder of IchimokuTrade and the originator of IMTF® Technology. He has authored the book “Trading with Ichimoku Clouds” published by Wiley Publishing. Manesh spent many years trading for Institutional Trading firms building Black Box trading models and many other trading tools designed to get an edge trading the markets. Manesh mission now is to take all his Institutional knowledge and trading tools and give them to the retail trader. Increasing one's returns is really as simple as knowing when, where and how to implement options strategies, Like the Poor Man's Covered Call (Put) to increase the probabilities of success. One of the ways to achieve higher returns is to diversify our portfolios. Wouldn't you say that it is important to diversify your portfolio? Traders and investors with small accounts definitely struggle with this problem and even larger accounts could be better at allocating funds to increase their diversification. 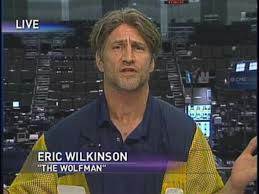 Join Eric "The Wolfman" Wilkinson, former Chicago Board of Trade floor trader and 25 year professional trader, as he explains how traders struggling with limited capital, wanting to use less margin or wanting to limit their risk can implement a Poor Man's Covered Call (Put). Eric will show the correct way to trade a trade a Poor Man's Covered Call (Put) to reduce market exposure and increase diversification. 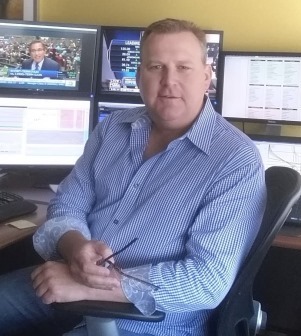 Speaker Bio: Eric Wilkinson is a veteran floor trader and has been trading financial futures, commodities, stocks, stock indices and options on a variety of products for over 20 years. He has been sought out by several media outlets to debate against some of the brightest minds in the industry, where he debates on topics ranging from economics, geopolitics and market directions. He is most notable for his comments in Rick Santelli’s “Rant Heard Around the World” where he was the first to use the phrase “moral hazard” in connection with the Feds actions surrounding the financial crises of 2008. Eric Wilkinson Wolfman picMr. Wilkinson is a professional Trader and he is also an educator with ProTraderStrategies.com. He began his trading career while earning his Finance degree at Ball State University. After graduating, he moved to Chicago to work on the floor of the Chicago Board of Trade where he honed his skills as a trader.If you are a new trader or have several years of experience and would like to be mentored by Mr. Wilkinson, you can join him for his online classes and webinars by going to ProTraderStrategies.com. He can also be found on twitter @wolfmansblog for his snarky comments. Swing trading stocks and options using Master Trader Technical Strategies (MTS) provide excellent opportunities to generate wealth and income. Learn our top technical setups for swing trading for reliable profits plus using the same patterns to sell credit spreads to generate weekly and monthly income for merely calling a short-term bottom or top. Speaker Bio: Dan Gibby possesses more than 25 years’ experience in equity and options trading, with expertise in technical analysis, using options to hedge and speculate, and portfolio/asset management. Mr. Gibby formed Master Trader with Greg Capra, founder of Pristine.com and pioneer of online trading using technical analysis, to provide education to stock and option traders as well as consult for money managers and high net worth investors on technical analysis and strategies to generate ongoing additional yield. Jeffrey Beamer is a 33-year veteran of the trading/financial services industry and is currently an Investment Manager with McElhenny Sheffield Capital Management in Dallas Texas. 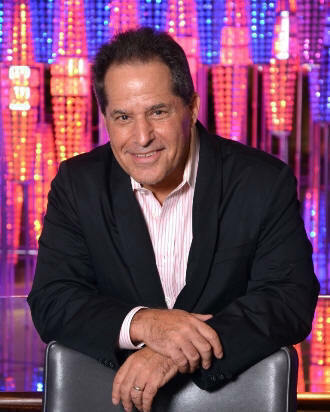 Prior to joining MSCM, Jeffrey was the Founder and Managing Partner of Sigma Capital Advisers LLC., a Registered Investment Advisor who provided Individuals, Advisors and Institutions with cutting edge investment management services. Previously, Jeffrey was co-founder and Partner of Lacerte Capital Partners L.P. and Lacerte Capital Advisors LLC., a Registered Investment Advisor servicing the Hedge Fund and Mutual Fund industry. Jeffrey served as Portfolio Manager for their Onshore/Offshore Hedge Fund as well as the Lacerte Guardian Fund (a “40-Act Mutual Fund), served on the investment committee and was Director of Trading and Research for the firm. Jeffrey’s trading experience began as a teenager in 1984 after he earned his first securities licenses at the age of 19. 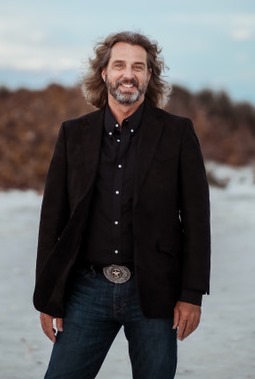 In 1989 Jeffrey joined Fidelity Investments, the largest privately held investment firm in the U.S. and after 12 years with the firm, Jeffrey left Fidelity to start his own firm, Sovereign Trading Group LLC, a trading and consulting firm. In 2002 Jeffrey began serving as an instructor for the Options industry and has taught thousands of professional and novice traders around the world about the use of exchange traded options and still teaches and lectures today. Jeffrey has been featured in numerous articles in the press including features on CNBC.com, InvestmentNews.com, Dow Jones Newswire, Euromoney Institutional Investor, Markets Media and has been a featured guest on The Educated Investor on KRLD a CBS Radio affiliate in Dallas, Texas. Frank Ochoa will discuss the concept of trade sequences, which are powerful blueprints that help you to find and trade high probability opportunities, and allow you to pinpoint perfect entries and maximize gains, while reducing risk. These trade sequence blueprints can be used by traders of all timeframes, but are especially powerful for swing traders and active investors. 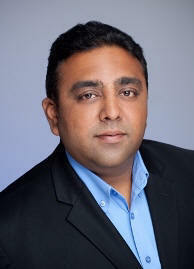 Speaker Bio: Frank Ochoa is a 20-year market veteran and author of the highly acclaimed book, Secrets of a Pivot Boss. He owns and operates the educational trading company PivotBoss, LLC (www.pivotboss.com) and actively manages a portfolio through Ochoa Capital Management, LLC. Frank has developed and deployed proprietary algorithms for private and institutional clients, and is the creator of the PivotBoss suite of indicators, including PivotBoss Pivots, PivotBoss Bands, and the Advanced ADR Indicator. Traders develop the knowledge of trading, anticipating that they will be rewarded. But then the moment they try to use that knowledge under pressure, access to the hard earned knowledge disappears. Instead, Self-Doubt creeps into the mind and the dreams of trading get washed down the drain. What happens to a perfectly good mind when it falls apart at the wrong time consistently -- and what can be done about it? For the few who have the courage to face their fears, emotional self mastery opens the door to a very different way of dealing with uncertainty. It's like a new life. Come learn how you can redefine the way you approach uncertainty and find the zone. Speaker Bio: Rande Howell is a performance coach and licensed therapist. His work focuses on using emotions to build an effective mind for the management of uncertainty and is grounded in Emotional Intelligence, Mindfulness, and developing latent potential in traders. He teaches traders how to harness emotions to achieve the performance edge so they can effectively control the mind that is brought into the moment of managing uncertainty, rather than attempting to control the outcome. Rande travels, speaks, and trains internationally for the emotional finance community. His publications have appeared in many venues and he is the author of the book, "Mindful Trading: Mastering Your Emotions and the Inner Game". Veteran trader Dan Gramza will explain what blockchain and bitcoin is, how it works, it's strengths, weaknesses, challenges and new ways blockchain technology is and may be used beyond a crypto currency. He will also guide you through your trading choices for bitcoin exposure. 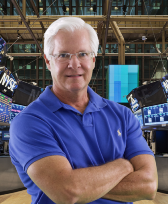 Dan will also apply his proprietary approach to trading to current live futures and stock markets. His simplified approach will provide clarity to how you look at the futures and stock market are shown in this not-to-be missed presentation. Whether you’re new to trading or are an experienced trader, Dan’s exclusive presentation will provide you with new tools to understand and trade the markets. Speaker Bio: Dan Gramza is President of Gramza Capital Management, Inc. and DMG Advisors, LLC. He is a trader, consultant to domestic and international clients, an advisor to hedge funds and is a developer of ETF securities. Dan has published works in Australia, Europe, Japan, Singapore and the United States and is completing "Trading in the Eye of the Storm" and "The Handbook of Japanese Candle Trading Strategies". He has appeared on CNN's "Moneyline" program, Reuters TV, Bloomberg TV, ROB TV Canada, TVN 24 Poland, Intereconomial TV Spain, WCIU-TV Chicago and as a market analyst for CME Group and has been quoted in The Wall Street Journal, Chicago Tribune, SFO Magazine, Futures Magazine, Stocks & Commodities Magazine, Traders Edge Magazine, Traders’ Magazine, Traders Journal and other numerous media outlets around the world. Dan develops and presents worldwide public and private courses on Essential Mental Techniques for Traders, Japanese Candle Analysis, Market Profile, technical analysis, options and options trading strategies, stock and futures industry fundamentals and operations, Series 3 exam preparation. He has presented courses to traders from over 36 exchanges, 450 institutions, and 35 countries. Dan is an adjunct instructor for the CME Group, Eurex, SGX, Northwestern University School of Continuing Studies, Université de Genève, the Chicago Stock Exchange, DePaul University, and a former adjunct faculty member of the Illinois Institute of Technology's Master program in Financial Markets and Trading. Dan is a former member of the Chicago Rice and Cotton Exchange. He has established and run proprietary stock trading operations on the floor of the Chicago Stock Exchange, an off floor proprietary futures trading group and has given expert witness testimony in federal court. Dan has passed the series 3, 7 and 63 exams. He earned a B.S. in Engineering from the Illinois Institute of Technology on scholarship, and an M.B.A. in International Finance from DePaul University, graduating with honors. In addition, Dan holds a sixth degree black belt in Kyokushin karate, a second degree black belt in True High Form jiujitsu, a first degree black belt in Hakaryu jiujitsu, and has studied the arts of judo, aikido, jujitsu, bujitsu, jojitsu and bojitsu. In this 90 minute presentation (followed by 30 minutes of questions), Mr. Hallett will tackle the all-important area of the proper placement of stops. He believes that matching the type of trader that you are, with respect to your own trading style and personality should dictate the way you place stops and defend against protracted losses. The proper trailing of stops and when stops should not be used, will also be discussed. After laying out the 7 stop-placement techniques, Mr. Hallett will show how they apply to various Simple Trading Plans, taken from his Simple Trading Plan of the Month Club. 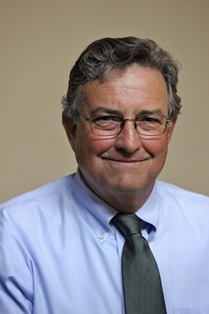 Speaker Bio: Norman Hallett has been a trader and trading educator for almost 4 decades. >From 1981 to 1988 he ran one of the largest options firms in the country and later worked as a commodity specialist for PaineWebber. 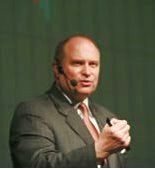 In 1991 he formed The Hallett Group, managing large trading account for individual investors as a Commodity Trading Advisor. He currently owns and operates The Disciplined Trader, founded in 2000, where he focuses on helping traders with the too-often-neglected are of mental and emotional control. He has over a million views of his “4 Minute Drills for Traders”, found on YouTube, where he gives tips and techniques for being a more successful trader. His latest project, “Simple Trading Plan of the Month Club”, delivers unique ‘simple trading plans’ to members on a monthly basis, so that traders have a solid, simple trading plan for all types of market environments.